HARTWICK – William G. Ronk, Major USAR, passed away unexpectedly Thursday morning, April 12, 2018, at his daughter’s home in Hartwick. He was 71. A native of the Hudson Valley, he was born March 16, 1947, at the Benedictine Hospital in Highland, a son of George Carpenter Ronk and Madaline (Loos) Ronk. After attending Clintondale and Triboro Schools and graduating from Highland High School, he studied nursing at the Hudson River State Hospital School of Nursing and eventually became a Registered Nurse. On October 9, 1967, Bill enlisted in the United States Army, and proudly served his country in the US Army Medical Department. He transferred into the Reserves in 1970, ultimately earning the rank of Major when he received his Honorable Discharge. 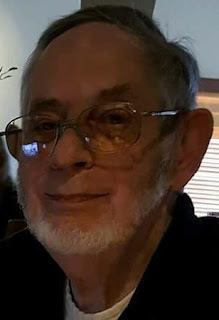 For many years Bill was employed as a Certified Registered Nurse Anesthetist, and last worked for Upstate Medical University Gastroenterology in Syracuse. He was a member of the American Association of Nurse Anesthetists and the New York State Association of Nurse Anesthetists. Proud of his military service, he was a life member of the Reserve Officers Association and was a Past Vice -Commander, Commander and Adjutant of the Clark F. Simmons American Legion Post No. 579 in Cooperstown. He was a former member of the Cooperstown Fire Department and Highland Grange 888. Of the Episcopal faith, he attended St. Andrew’s Episcopal Church in New Paltz in his youth, and during his years in Cooperstown attended Christ Church. He enjoyed fishing, gardening and especially cooking. Bill knew many people throughout his life that truly loved him, and he them. He is survived by his former wife, Kathryn Ronk of Cooperstown and his current wife, Patricia Conlon Ronk of Deer Park; four children, Jennifer Kehoe and husband, Jason of Hartwick, Amy Lynn Ronk and Richard O’Hara of Norwich, Katie Petreszyn and husband CJ of California and Ryan Ronk of Rochester; eight grandchildren Broc Gilbert, Haley and Natalie Kehoe, Aiden and Zachary O’Hara, Luka Petreszyn, and Layla and Piper Zylinsky; two sisters, Barbara Jane Burdine of Orchard Park and Beverly Briggs of Pleasant Valley; a brother, Leonard Ronk and wife Arlene of Gastonia, North Carolina; a niece, Amanda Burdine; and a nephew, Brian Briggs. He was predeceased by his father, George C. Ronk, his mother, Madaline Ronk Mackey, and a niece, Diana M. Burdine. Friends may call and pay their respects at the Connell, Dow & Deysenroth Funeral Home, 82 Chestnut Street, Cooperstown, from 5-7 p.m. on Tuesday, April 17, 2018, when Bill’s family will be in attendance. The Office of the Burial of the Dead with Holy Eucharist will be offered at 11 a.m. on Wednesday, April 18, 2018, at Christ Church, Cooperstown, with Rev’d Dane E. Boston, Rector officiating. Immediately following the funeral, Military Honors will be accorded in the Church-yard by members of the Clark F. Simmons American Legion Post No. 579, Cooperstown, and the New York State Military Forces Honor Guard. He will be laid to rest with his father in Modena Rural Cemetery. As an alternative to flowers, Bill’s family respectfully requests memorial donations to Cooperstown Fire Department, PO Box 1, Cooperstown, NY 13326 or Hartwick Fire Department Co. No. 1, PO Box 86, Hartwick, NY 13348.